I slept in this morning and didn’t have a clear plan for where I wanted to ride today. I just knew I wanted to go for a long-ish ride and visit some places I hadn’t been before. 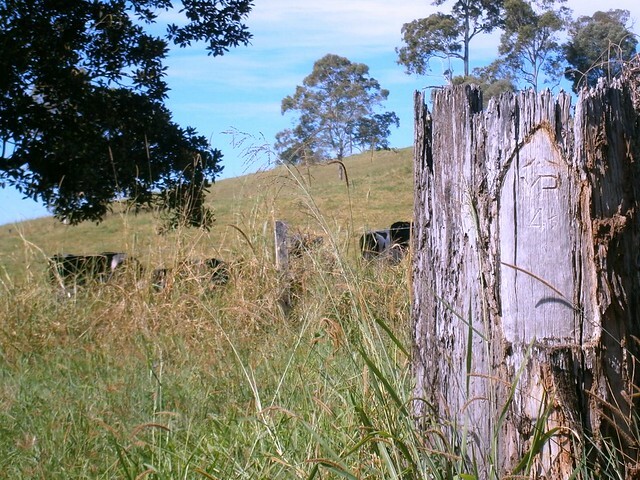 I eventually decided to head out into the hills west of Dayboro and see what happened. 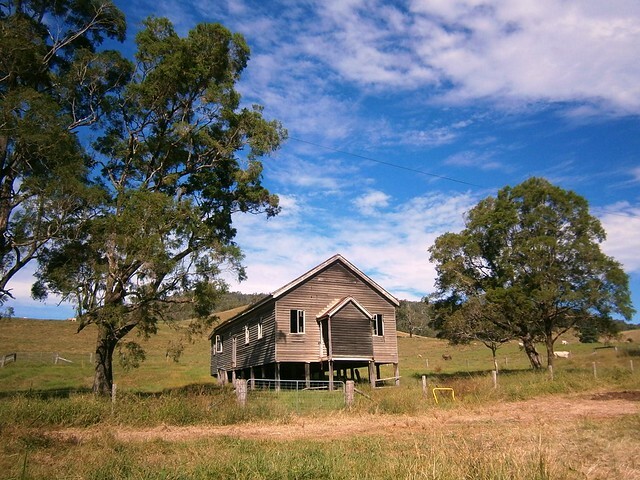 … Not much further down the road I came upon this old building. My friend, Leith Barter, tells me this was the old Laceys Creek Community Hall. It doesn’t look like much today, but I’m sure it was the hub of local social activity on a Saturday night in days gone by. Leith tells me that Wirth Road is named after the Wirth Family who grew Bananas at Laceys Creek after World War II. 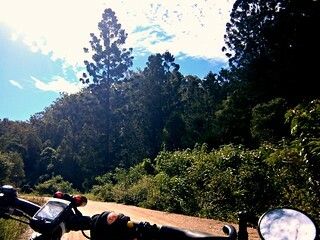 The road is a bumpy dirt track which leads up into the hills, so I decided to follow it. 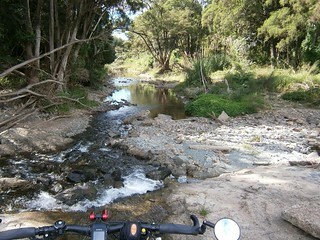 As I progressed down the road it became narrower and steeper and the surrounding vegetation became thicker and greener. 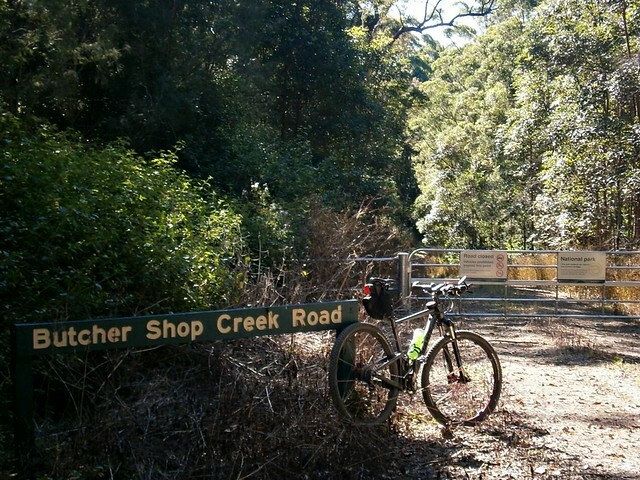 It took me about an hour to ride to the top, where I discovered I was on one of the main Four Wheel Drive tracks in D’Aguilar National Park – Range Forest Drive. 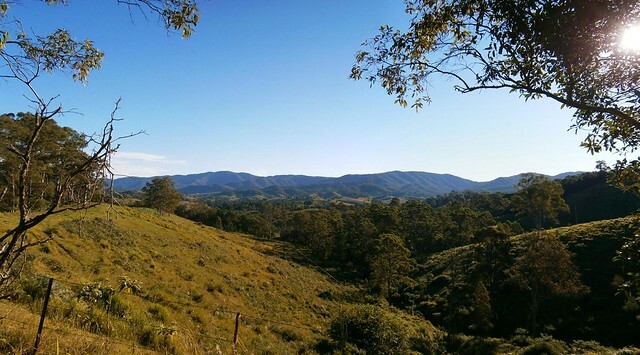 The climb is about 6km long and rises about 500 metres, so it’s hard work. At this point, I had two choices. The easy option was to roll back down the hill I had climbed up. 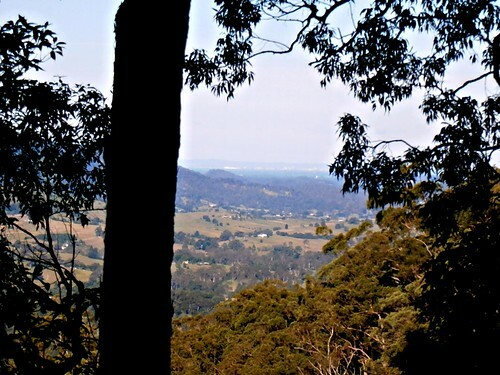 The more challenging option was to head north through the park until I came out at Mount Brisbane, north of Dayboro. I decided to head north. 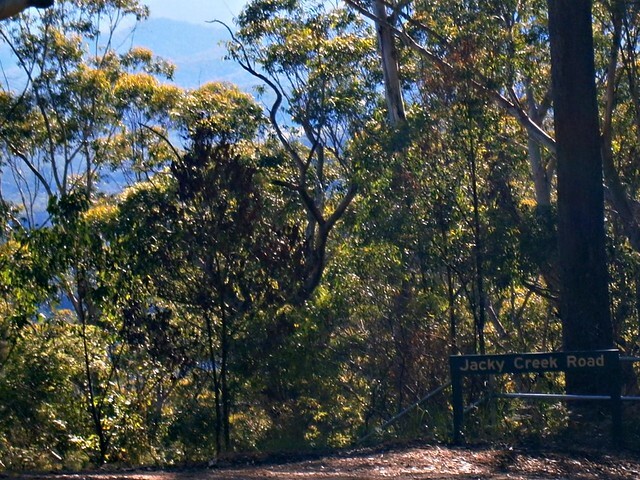 Jacky Creek Road is another gated road heading off to the North West. The main road follows the ridge line along the top of the range. Some of the views to the east and the west are fantastic. I found myself stopping too often wanting to take photos and enjoy the view, then reminding myself that it was mid-afternoon and I needed to get out of the park before dark. As it turned out, Range Forest Drive is a fairly easy track to ride, so I had plenty of time, and stopped for a few more photos. 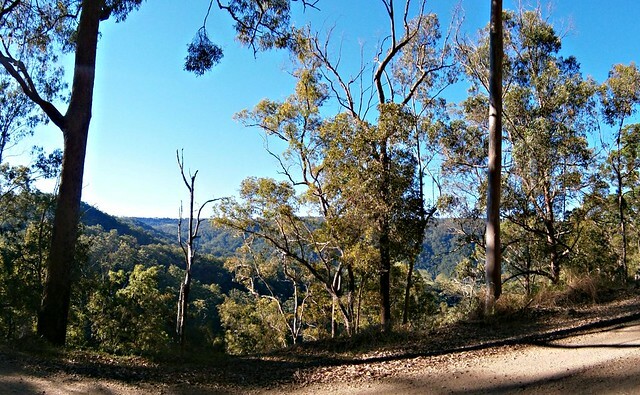 When I eventually got to Peggs Road I realized I had made it, and let out a few loud cries before zooming down the steep descent to Mount Brisbane Road below. On the way back to the car I stopped one more time for a great view of where I had ridden. The track pretty much followed the top of the range in this picture. 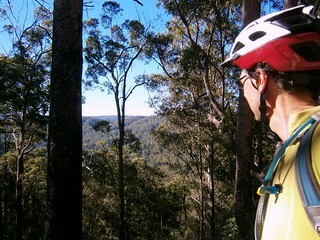 55km with 1290m of ascent in almost 4 hours with 3,500kcal of energy. This one deserves 9.5 out of 10 on the tough-o-meter. Do it in the cooler months. Some of those climbs would be horrible in summer.